Photograph of Henry H. Cummings, Jr. 1927. Cummings in on far right. Henry Cummings won the Southern Conference 100-yard dash in 1927. 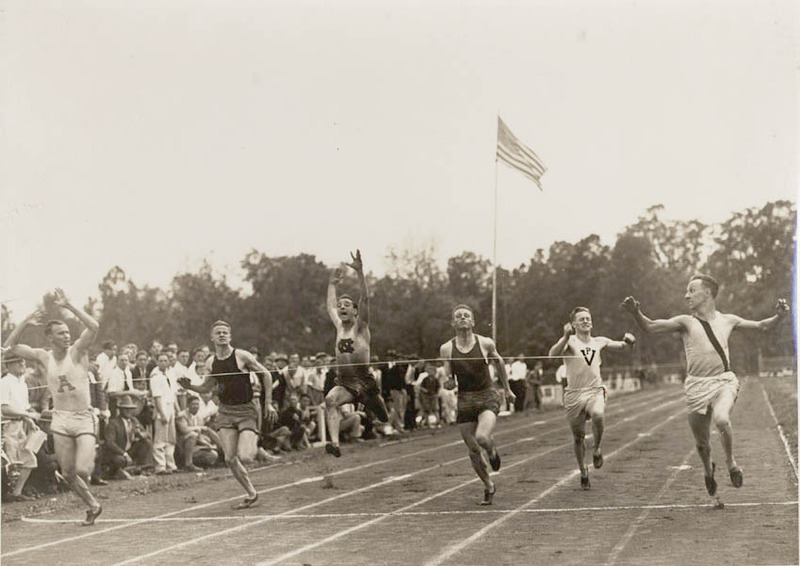 Twice captain of the track team, Cummings was an Olympic sprinter in the 1928 games in Amsterdam. An assistant professor of political science at UVa prior to WWII, Cummings died of polio in Italy in 1945.